Hundreds of Dahab Island residents staged a two-hour-long protest on Friday in solidarity with the Warraq Island residents, whose homes were set to be demolished by the government earlier this week. Chants by the Dahab residents narrated their concerns of an imminent and similar crackdown on their own homes after rumors spread that the Dahab and Qursaya islands were mentioned in the demolition order along with Warraq. 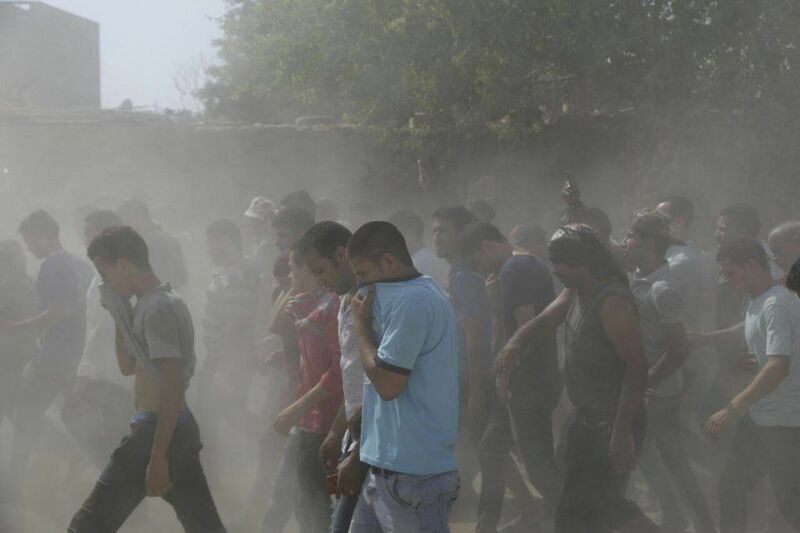 One person was killed, 19 were injured and at least 10 were arrested on Sunday during clashes that erupted between Warraq residents and police forces, culminating in the use of tear gas and warning shots by the police to disperse the crowd. This came after security forces attempted to implement 700 demolition orders for buildings that “encroach on state lands,” as described by an Interior Ministry statement. Thirty demolition orders were carried out on Sunday, with the Giza Governorate asserting that no one was forcibly removed from their property in the process. Another protest in Warraq was scheduled to take place on Friday to contest the demolition of their homes, but it was suspended after a meeting with Hesham Iraqi, the head of Giza security. “We met the security head in the directorate and agreed to a truce in exchange for allowing us visit those arrested from the island and for reverting the suspension of the ferry that transports food and gas cylinders to the island,” Mosaad Hamed, one of the Warraq residents who participated in the meeting, told Mada Masr.